Please select a date of play to check availability on Morgado. 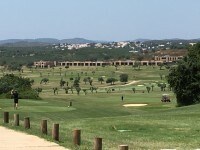 The Morgado course is located next to its sister course, the Alamos Course, both to north of Portimao, and both being laid out in a large 980 hectare estate through undulating small valleys. The immediate main characteristic of the Morgado Course is its large greens which place demand on good putting skills. Also, the accuracy of the shot of the player will be questioned by deep aggressive bunkers. Leppoisa lomakenttä - tilaa on hyvin, joskin paljon myöskin bunkkereita. Good course, lot of space and in good condition. Vuokramailat keskinkertaiset hintaan nähden - kannattaa vuokrata jostain muualta. Kärryt ja pallot molemmat 6 euroa. Ystävällinen henkilökunta. Excellent course but slow play. Not enough refreshment buggys. A nice course with greens under work! Lovely set out course, but areas in poor condition for having held the Open de Portugal recently. The rough was like straw and other areas were burnt/not watered correctly too. Also the drinks cart managed to avoid us the whole round, which was poor, as we were in desperate need of refreshments come the back 9. Overall the course looked like it could be a great one if looked after like others in the Algarve are or out of Summer season when its naturally wetter. Still enjoyed the game, but could have been outstanding with better watering. We bought a 2 round package from AG which provided 1 round on each of Morgado and Alamos Golf Courses; this provided good value holiday golf. 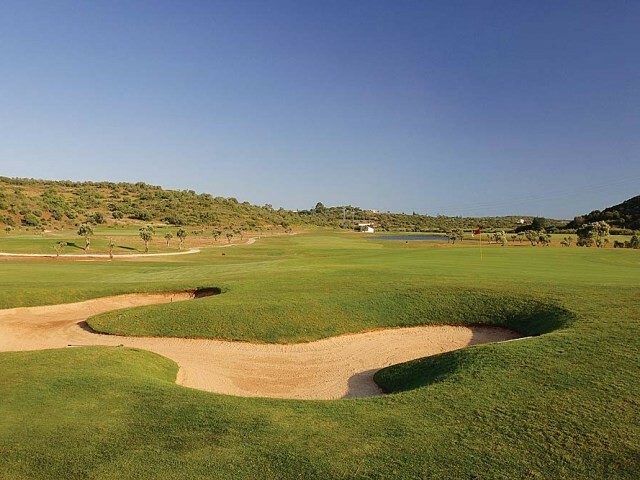 Morgado is the longer of the 2 courses with mainly wide inviting fairways that allow you to 'open your shoulders'. The course is relatively flat on the front 9 with more undulation and challenging terrain on the back 9, but relatively easy if you choose to play without a buggy. The greens are larger and flatter than the sister course Alamos so 2 putts were certainly not guaranteed! 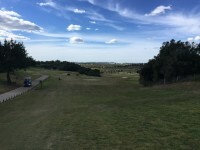 To post a review, score or a notice on Morgado page's or to connect with other Morgado golfers, please log in to your account or sign up using Google or Facebook.